FREE Zumba at Yuma Palms Every Monday from 6:30pm - 7:30pm - Yuma Palms Regional Center – Yuma, Arizona | Welcome To Yuma Palms!Yuma Palms Regional Center – Yuma, Arizona | Welcome To Yuma Palms! 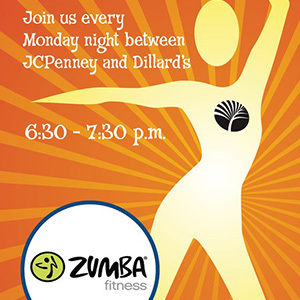 Zumba has moved and will be held EVERY MONDAY at 1401 S Yuma Palms Parkway, space G5, (in between JC Penney & Dillard’s). Please call 329-4559 with any questions.